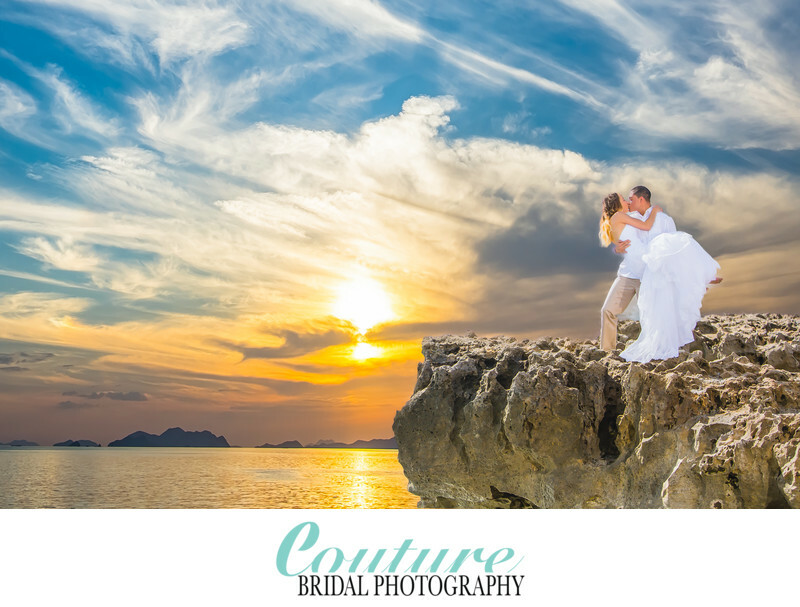 Couture Bridal Photography description of photography services we offer throughout Florida and destinations in the US, Caribbean, Europe, South America and South Pacific. 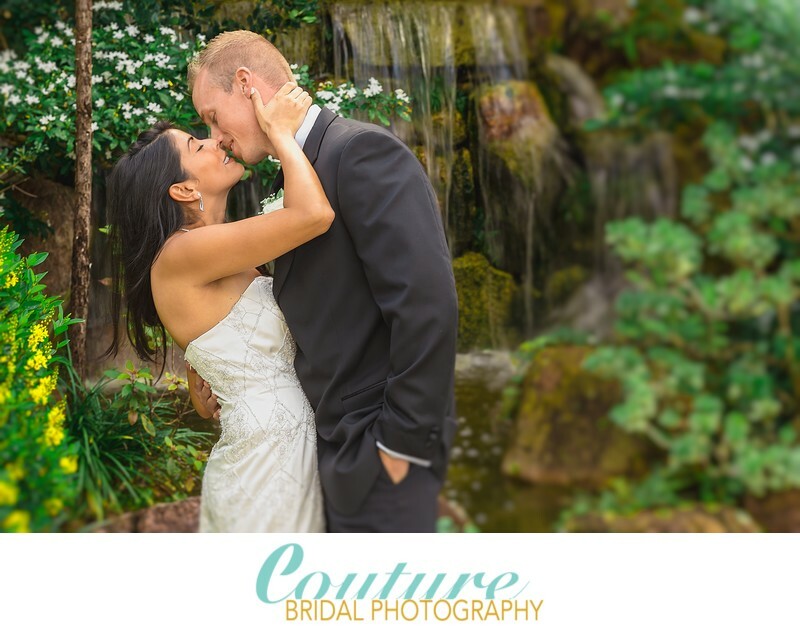 Engagement Photography is intended to set the tone for your wedding day with beautiful professional portraits. Engagement photos can be used to create save the dates, invitations and decor for use on your wedding day. Having an engagement photography session also provides you with the opportunity to get to know me, as well as getting used to being photographed, which can be a new and awkward experience. Couples who elect to have an engagement photography session tend to be more relaxed in front of the camera on wedding day, which results in better more authentic looking photos. I am very sure you want to look your best on wedding day and I will make you a star! Additionally, an engagement photography session is like a wedding photography trial run. Most brides to be will have a makeup trial and see how they look on camera and work on poses they want during their wedding day. Get creative and have fun! 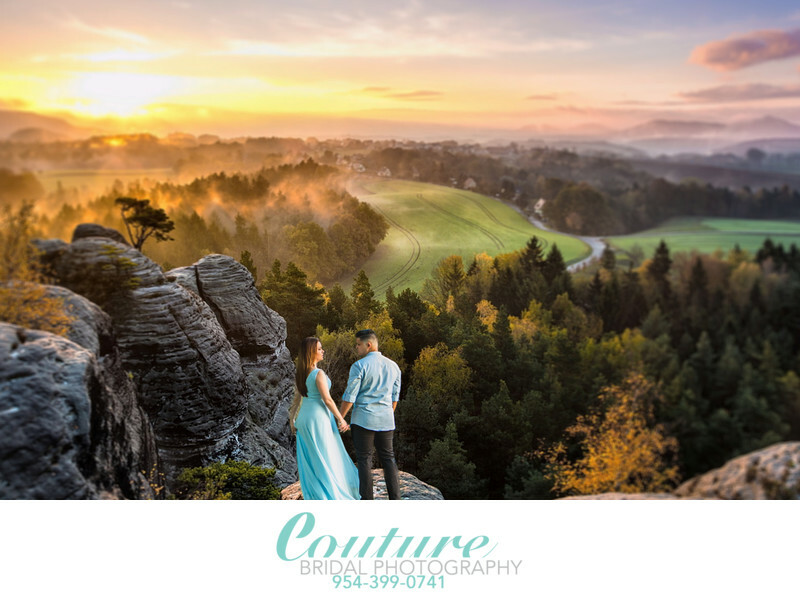 Moreover, an engagement photo sessions allow more time and less pressure for the most dramatic, artistic and creative photos you might not have time for on wedding day. I believe in engagement photography sessions so much that if you book me for just your engagement photography, I will credit you a portion of it towards your wedding photography. Wedding Photography might be the single biggest, yet most important investment for your wedding day. Keeping that in mind, I have worked to become rated among the best wedding photographers/studios in Fort Lauderdale, Coral Springs and surrounding south Florida committed to delivering more than anyone else for your hard earned money. My wedding photography style is a mixture of photojournalism, editorial, fashion and glamour photography to create a comprehensive wedding day love story. My distinct wedding photography style along with my editing provides couples with artistic images that tell your story authentically. During your wedding day, I allow moments to take place naturally, yet will gently guide and direct you as necessary to place you in the best light, glamorous pose, or position you to create a perfectly composed image. I use natural lighting along with strobe lighting, flash and video lighting throughout your wedding day as need for clear, sharp, and properly exposed images. I also use artificial light to create mood and texture as needed. Bridal portrait Photography sessions are how some of the most creative, spectacular and artistic wedding images you see online and on Pinterest are done. Most traditional wedding day timelines don't allow more than the time allotted during the cocktail hour for brides and grooms portraits. Many times couples find they want to spend more time with family, friends and guests than having portraits done during their cocktail hour. This leads to either rushed bridal portrait photography session or none at all. This is more prevalent on destination weddings or when the majority of a couples family and friends are traveling to attend their wedding day. The best solution is to do what brides and grooms throughout Europe and Asia do for their bridal portraits. They routinely schedule their bridal portraits sometimes months in advance of their wedding day or they schedule it up to 3 months after their wedding day. For the most part, brides and grooms in Europe and Asia have extended wedding day timelines that provide their wedding photographer with up to 3 hours for bridal portraits alone, at variety of locations if they haven't chosen to do them before or after the wedding. This is how artistic bridal photography portraits are created. A bridal portrait photography session is a fun way and good reason to relive the excitement of your wedding and getting back into your wedding dress and tux to create the most dramatic, artistic and spectacular wedding pictures ever! Plus you can opt to spend more time with your family, friends and guests on your wedding day. Much like and engagement session, we plan, coordinate and strategize where, when and what time is best for your bridal portrait photography session. We can even turn it into a "trash the dress" session at the end by heading to the beach! Destination weddings are now the most popular choice of brides and grooms throughout the world. More couples are getting married and hosting weddings throughout the United States away from their home, the Caribbean, Mexico and South America than ever before. Many couples find they want to either get married at historic location or venue, a place where they vacation, a place they find more romantic or combine their wedding and honeymoon. Other couples choose to have a destination wedding so they don't have to control every aspect of planning a wedding or in most cases to save money. In any case, a destination wedding can be exactly what you need to start off your new chapter in life with the ones you love most! I am a fan of destination weddings and love to travel. I am flattered to be one of the most sought out destination wedding photographers for couples through out Florida and New York City. The benefits of hiring me for your destination wedding photography are piece of mind that you will get every image captured throughout your wedding day. Unfortunately, many couples don't have the best experience with wedding photographers outside of the United States. It's not always the case, but when things go wrong, what recourse do you have? Aside from having the latest and greatest cameras, lenses, computers, digital storage, multiple back-ups, experience and skill. I am based right here in Fort Lauderdale, Florida, have a 1 million dollar general liability insurance policy, a legally filed LLC, and federal EIN number. In other words, if anything should go wrong, (which it wont!) you can take me to court. I also speak English and Spanish which makes it easier to communicate with you, your family and guests to help make your destination wedding experience less stressful and more fun. Of course, speaking a second language especially Spanish is no big deal, but works great when in a Spanish speaking country and want to find an amazing location that's off the map and need directions. My destination wedding photography assignments include the following to make it the best investment you can make for your destination wedding experience. Although, I would love to provide prices for my destination wedding photography coverage, it's nearly impossible with constantly fluctuating pricing on flights and accommodations. I will say that I provided the best destination wedding photography prices to make it the best decision you ever made. Typically, couples will pay between $2,000 to $4,000 including flights, accommodations, rental car(which is very rare) and meals for 2 (I need my assistant/2nd photographer in most cases). I don't require 5 star accommodations, only clean and safe and travel coach.